Opening Night at Park Life's New Mission outpost. Friday 6-9 pm. 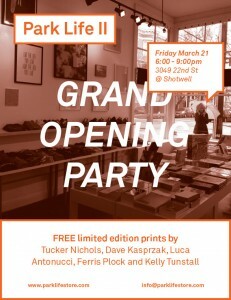 Please join us this Friday evening for our Grand Opening Reception. 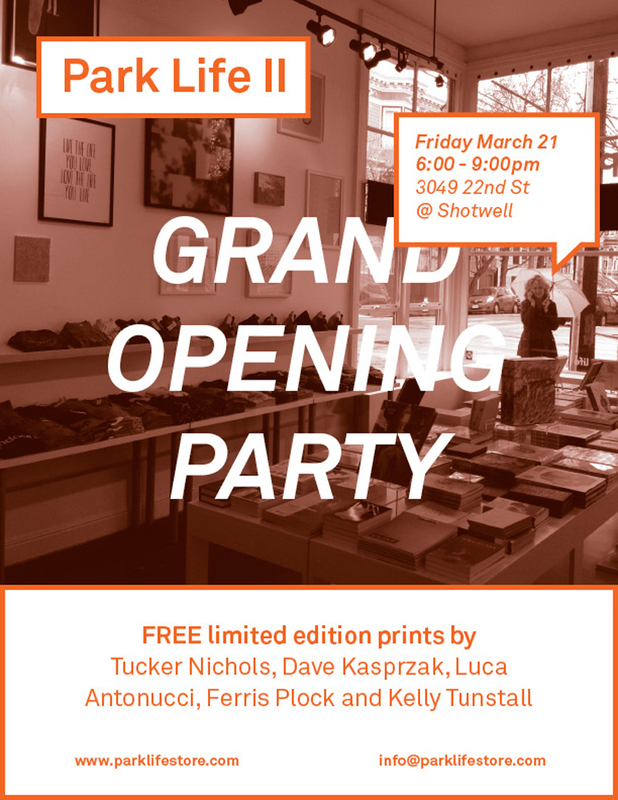 We are working with several artists to produce limited edition prints that we will be giving away while they last…including Tucker Nichols, Luca Antonucci, Dave Kasparzak, and more. There will also be Drinks and Snacks. 3049 22nd st (at Shotwell).